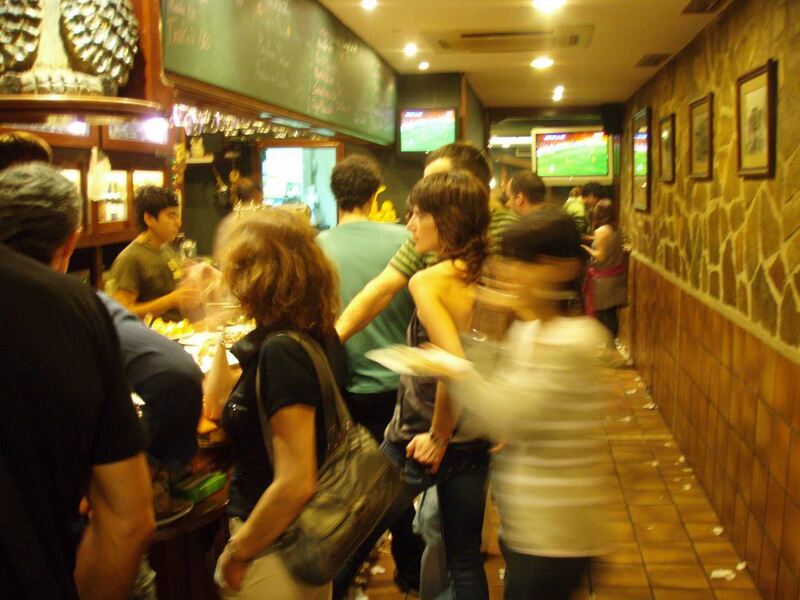 We could write reams about Spanish bars. 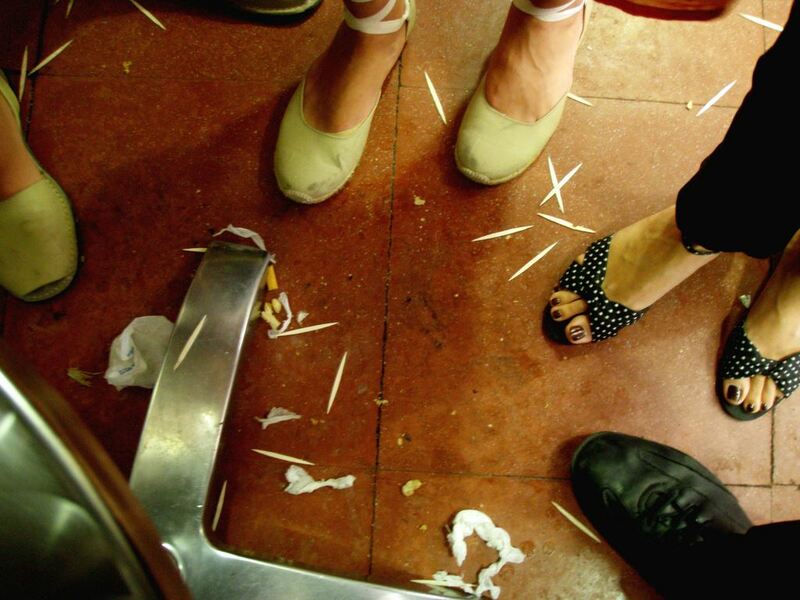 Let’s start with the containers of toothpicks and paper serviettes are on almost every Spanish café table and bar counter. Why you might wonder? Have the Spaniards got particularly bad teeth you ask? Nope. 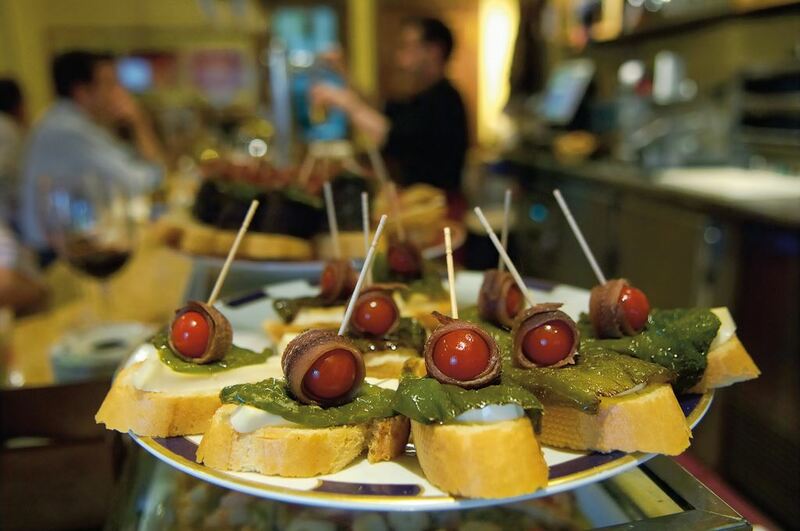 Toothpicks are used by bar staff for constructing tapas and by those consuming the food to skewer it. Much easier to pick up olives and anchovies with a toothpick than a fork. That said, you will also find them being used for their original purpose. And where do these used toothpicks end up? We recently heard about clients in a five star hotel in San Sebastian who were disgusted with the concierge’s tapas bar recommendation. They weren’t expecting to be sent to a place with used serviettes, toothpicks, prawn heads and peanut shells on the floor. While it’s not as common as it used to be – we love the spit & sawdust look of the old-fashioned bars in Spain and often recommend these places for their character and atmosphere. This used to drive us crazy at the beginning. When struggling with Spanish at the start, we were relying on the barmen to use the ‘first come first served’ approach. 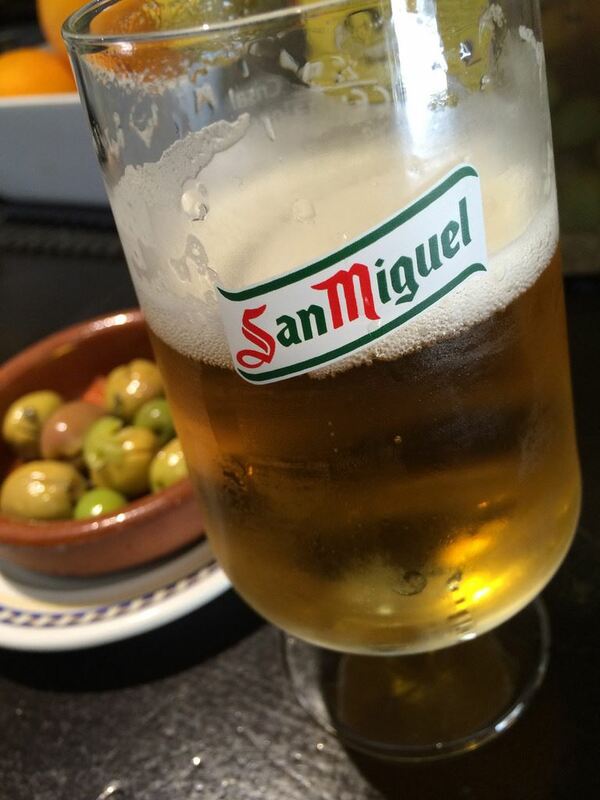 In Spain you’ll find that your arrival into or place at the bar gives no indication of when you will be served. Making eye contact is useless also. What you need to do is to say the first thing you want and add “cuando pueda” for example “un café con leche cuando pueda” – and when the waiter or waitress is making your coffee, you chip in with whatever else you want to order. “Y un pincho de tortilla” or whatever it is. If you struggle with this system, we suggest you ask for the bill when you are being served. “Me cobras?” The norm here is to pay at the end when you are ready to leave but unless you’ve mastered the getting-served etiquette you’ll find yourself caught up in another bottleneck of people. Don’t take any of this personally by the way – it’s not intended that way. Although craft beer is gradually making inroads in Spain, in most bars and restaurants you’ll find only one beer on tap. That certainly makes it easy for anybody ordering a round of drinks. If you don’t like the beer on tap – ask what bottled beers are on offer or turn the tap beer into a ‘clara’ which is a shandy. BTW Craft beer is called ‘cerveza artesana’. Or drink a wine instead! This one still catches us out. 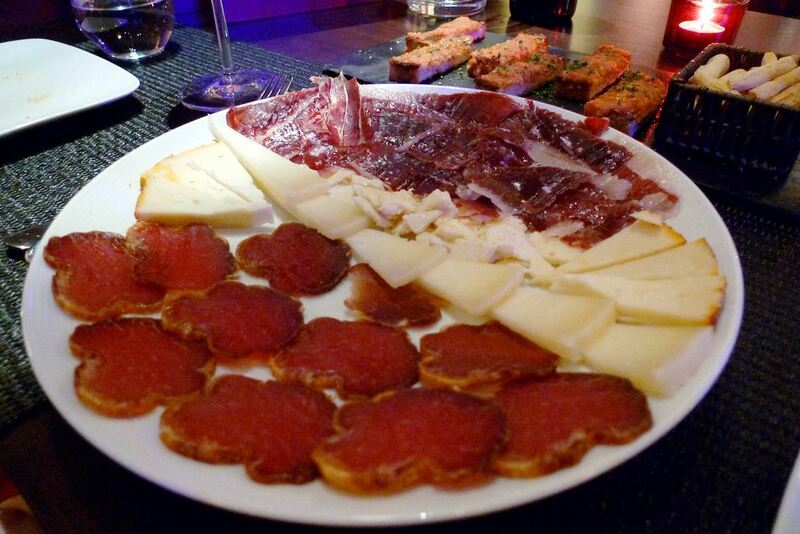 Cheese is generally served as an appetizer or starter with cold cuts such as jamon or chorizo. The exception would be in a cheese region when you might find cheese on the dessert menu. And Cava or Champagne is often served as a dessert wine for drinking with the sweet. You’ll also find some of the sticky sweet industrial ciders offered for this purpose as well. The exception here would be in the cava producing regions where you’ll see some diners drinking cava with their meal. Okay – we could write a blogpost about bread alone. If you haven’t lived in Spain, you might be surprised to see young toddlers being given bread to chew on when teething. Bread is also used to wash down a fishbone that has been unerringly swallowed. 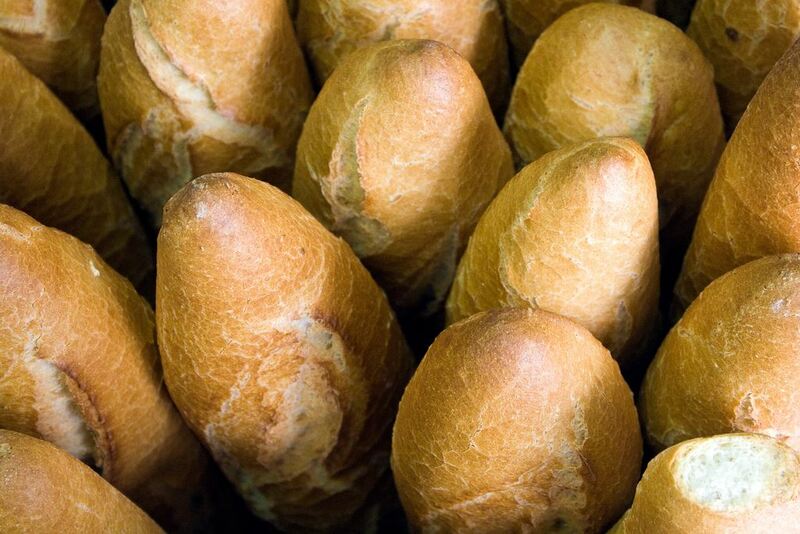 And the one that we often hear about – why is the cost of bread added separately to the bills? The answer is that it’s used as a surcharge which is the restaurants only way of covering costs when people share meals – which happens here a lot. 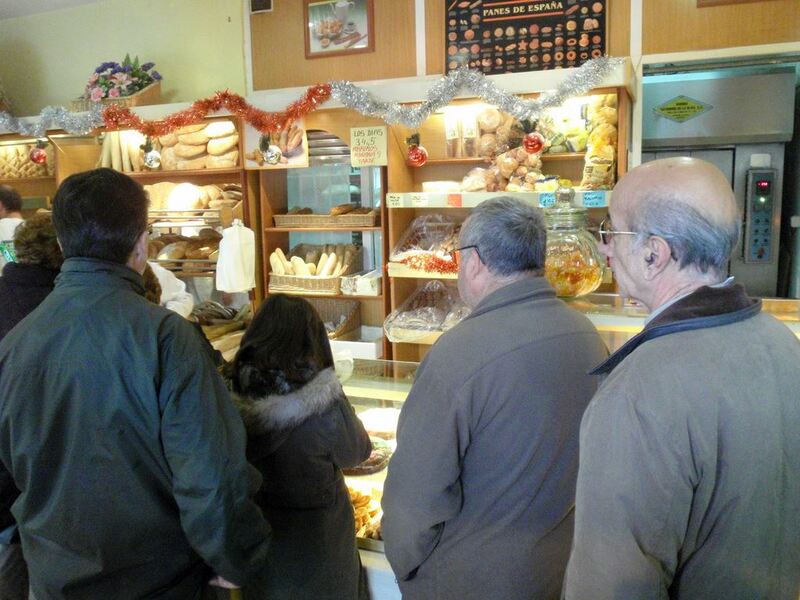 You can read our post on the ‘Art, Love and Tradition of Sharing Food in Spain’ here. 7 Meat and No Veg? Of course, we’ve eaten at many restaurants that serve a side of salad or veg with their mains, but it’s not a given. If you need to have carbs or veg with your main course, ask you waiter exactly what comes with the meat or fish. For example, if you order steak, ask whether it comes with fries or a side salad. You might find it does, but sometimes it’s served with the sweet flash fried green peppers or the slow roasted sweet red peppers. You might even find it comes with a blue cheese sauce – so if you dislike surprises, always ask “como viene el plato?” While we are on the subject of vegetables, we are often asked how the Spanish stay slim on a diet of tortilla, jamon, chorizo, deep-fried squid, battered prawns and platters of cheese all washed down with a chocolate and churros. We answer that the Spanish eat their soups and salads with grilled meats or fish and fresh fruit at home so when they meet up with friends and family, they let loose on the proteins and fats. 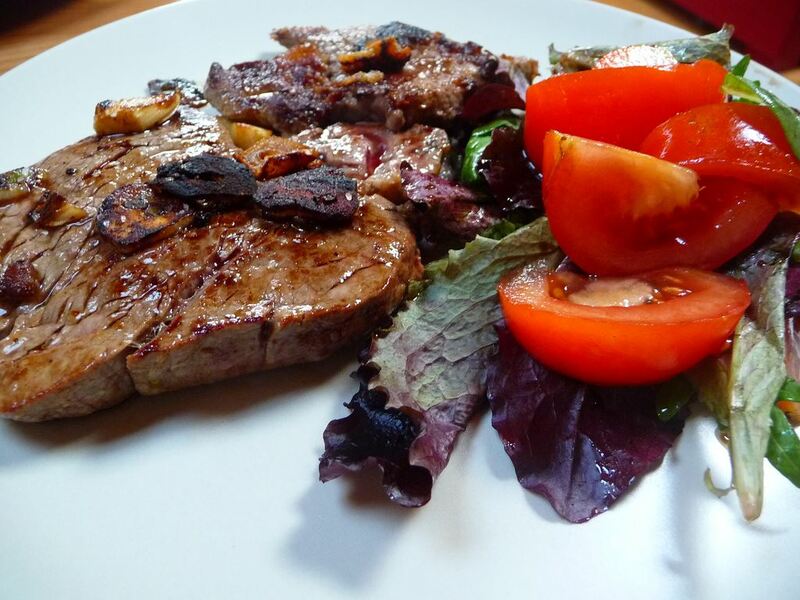 If you are on the move and want some lighter meals and fresh fruit or salads, and can’t see anything like that on the menu, just ask your waiter whether the kitchen can prepare something light “algo ligero”. Most places can put together a mixed salad. Remember you won’t find any heavy salad dressings in Spain – just healthy olive oil, vinegar and salt if you need it. And bones. Lots of them. If you are ever trying to work out whether somebody is Spanish or not, hand them a bony fish and see how they cope. If they leave it clean, you know they are Spanish. 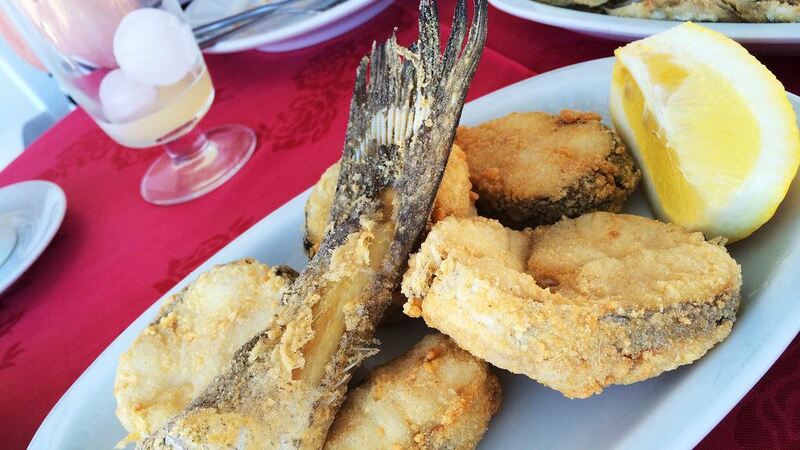 If you have a problem with fish bones and let’s face it – most non-Spaniards do – then avoid the bonier fish and stick to the seafood such as octopus, mussels and squid plus filleted fish such as salted cod and tuna steaks. If you don’t know what you are getting, expect fishbones, eyes and the teeth. And if you order prawns, expect them in their skins and not deveined. Lobster will come in its shell and so will crab. No – we’re not referring to people eating late in Spain – we’ve covered Spanish mealtimes here already. We’re referring to the people at the same table eating at different times. This tends to happen at a family get together rather than a meal out – but if you are at a table that orders steaks – you’ll find that one end of the table will have finished the steak when the other half are being served. Don’t be alarmed as nobody else will be and don’t make the mistake of waiting for everybody to be served. Many restaurants don’t heat the plates, so do as the locals, and tuck into your rib-eye while it’s hot. Children are sacred in Spain and having a dirty nappy is no reason to remove them from the table according to many of the ‘abuelas’ or Spanish grannies that change their loved one at a table in a restaurant. This dates back to a time when changing tables were non existent and facilities are improving with the international chains setting the trend here. We are telling you all this so that if you happen upon a mid-meal nappy change at the table next to you, it’s one way of knowing that you are not in a touristy joint. BTW If you don’t know this already, the mens toilets are ‘Caballeros’ and the Ladies are ‘Senoras’ and often you’ll find the ‘C’ on a door meaning it’s the Mens and the ‘S’ is for the Ladies. Although things are improving, we recommend all travellers get in the habit of keeping a few tissues in their bag/pocket for those facilities which aren’t re-stocked with toilet paper as frequently as they should be. There are some habits we’ve picked up from abroad – and asking for a cork to take a half-drank bottle of wine away with us is one of them. Most Spaniards will think nothing of leaving opened wine behind them. With beer, it’s the same. People order drinks and some or all will leave more than a sip behind. We have to admit to doing this ourselves too. Perhaps we’ve gotten a bit picky. You’ll rarely find this happen with coffee – but that’s probably because the cups are so small – there’s not much to leave behind. Food is also often left behind – and it’s not at all common to ask for a doggy bag. We’ve done it on occasion when staying in self-catering when we know the leftovers will be handy for another meal. 12 Drinks – Expect Very Different Shapes & Sizes and a Different Timetable Too! This is the one we spend most time explaining in a personal capacity. We’ve been at weddings where elderly ladies from abroad were ordering gin and tonics and not quite understanding why the night kicked off. When ordering spirits, you will often have to indicate to the waiter how much you want. If you don’t say ‘when’ which is ‘vale’ in Spanish you’ll get triple or quadruple a British measure. On the other hand, many of our friends from abroad are surprised with the wine glass measures. A traditional glass of wine in Spain is probably half what you get compared to measures in the UK or Ireland where the glass is huge and it’s often filled to the brim. The other remarks we pick up on relate to the glasses – e.g. sometimes young wine is served in a tumbler style glass (which is actually a Spanish cider glass) and the older Crianza and Reservas come in the traditional wine glass. In Galicia’s Ribeiro region, you’ll find white wine is sometimes served in a chilled ceramic bowl that which keeps the wine cool longer than a glass does. 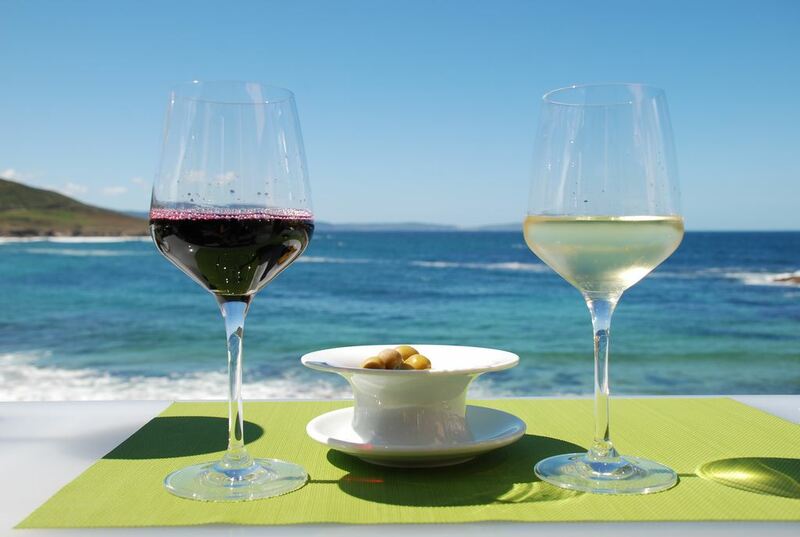 Wash it down with some of Galicia’s amazing seafood and you’ll wonder why you don’t drink from a ceramic bowl at home. Speaking about temperatures, we’ve been baffled on occasion by being served cold red wine in the Summer, although this is usually in the more rustic of places. If you like the idea of drinking red wine cold, you have to try kalimotxo (coke and wine mixed drink served in the Basque Country) which is actually a lot nicer than it sounds. Try it! You might be surprised to see a family group accepting shots after a meal. In fact, these are ‘chupitos’ and aren’t intended to be knocked back. If you are offered one to have with your coffee after a meal, think of it as a ‘digestif’ rather than a shot – despite appearances. While we are talking about coffees, we should remind you that you won’t find many cappuccinos here – you’re in the land of the cafe solo (black coffee), cafe cortado (with a drop of milk) and cafe con leche (white coffee). 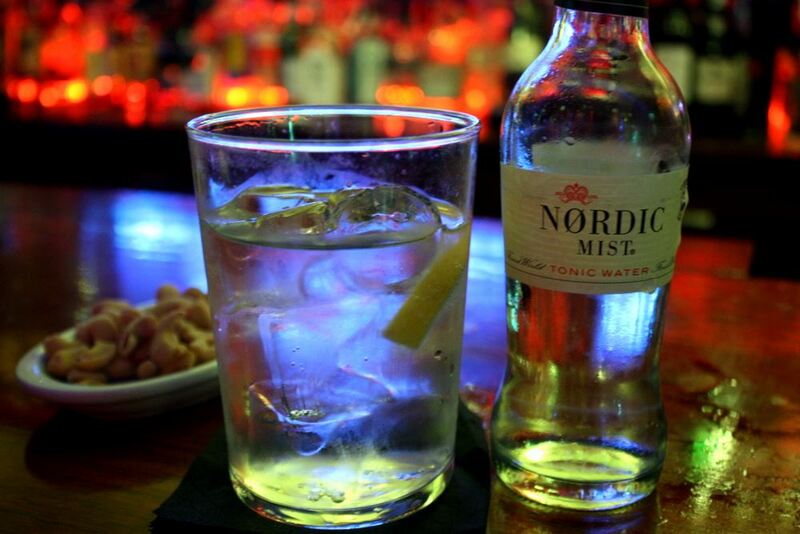 When you hear the work ‘cocktail’ it can mean one of two things in Spain. It can mean the Mojito, Old-Fashioned or Manhattan you might order at home but it can also refer to the pre-meal nibbles. At a wedding, you’ll often have a ‘coctel’ which consists of drinks and platters of hors d’oeuvres or canapés that are delicious. You might even find a jamon cutter or slicer – by that we don’t mean the machine but the person. A word from the wise – try not to eat too much at the ‘coctel’ – you’ll have to squash in another four courses at least. You’ll never go hungry at a Spanish wedding! We mentioned the grannies or ‘abuelas’ before – they are the best people you’ll find in Spain except when it comes to queuing. Usually there is no formal queue in Spain. When you go into a shop and find more than a handful of people waiting to be served, you ask “quien es el ultimo?” “who’s last?” and you make sure that whenever they are served – you are next. Of course, this system leaves itself wide open to abuse and the little old ladies have well-tuned skills to getting to the counter and out of the shop before you’ve ever noticed what happened. The same happens at restaurants. You might be asked to wait at the bar for a table – it’s worth checking back with the waiter from time to time – as you can be table-hopped if you don’t. 16 Noise – Lots of It! 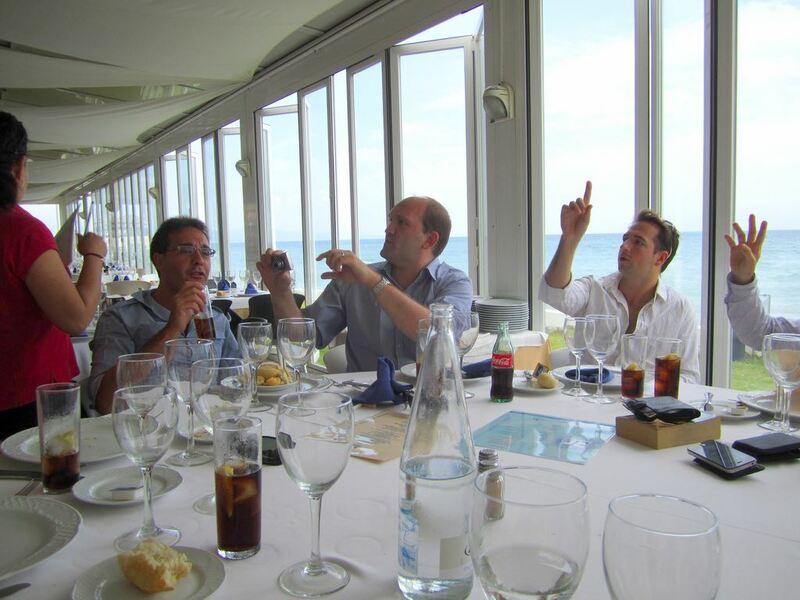 Spaniards tend to be softly spoken individuals on their own but get a few together and the volume certainly increases. 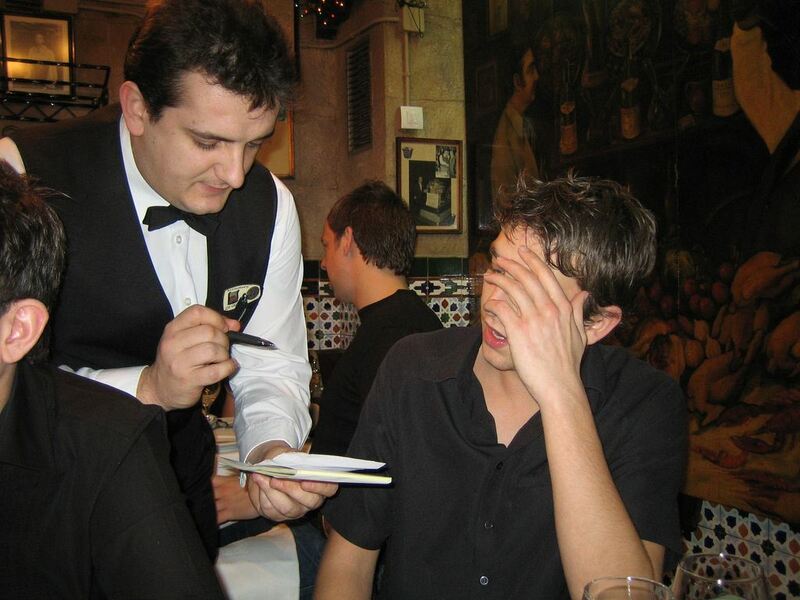 This is often the case in a restaurant so if you are planning a quiet romantic meal, you might do well to say it to the waiter when you arrive and are being seated– as Spanish diners not only go to the restaurant to eat but the ‘sobremesa’ or table-side after-dinner conversation can go on for a while too. 17 Personal Space – There is None! You’ll notice this at a bar first – or in the bus and when walking down the street too. Spaniards have no sense of personal space and you’ll often find yourself in much closer quarters here than anywhere else with the exception of London’s tube or Japan’s trains during rush hour. In Spain everybody is required by law to carry ID, and waiters and service staff might ask you to show ID to prove you are the cardholder. More and more restaurants and stores are realizing that when you have a PIN code on your card, you don’t need to request ID but be prepared if you are planning to shop in smaller businesses as you might not be able to purchase without ID. A driving license, passport and even a college or work ID have been accepted – anything with a photo that looks official. 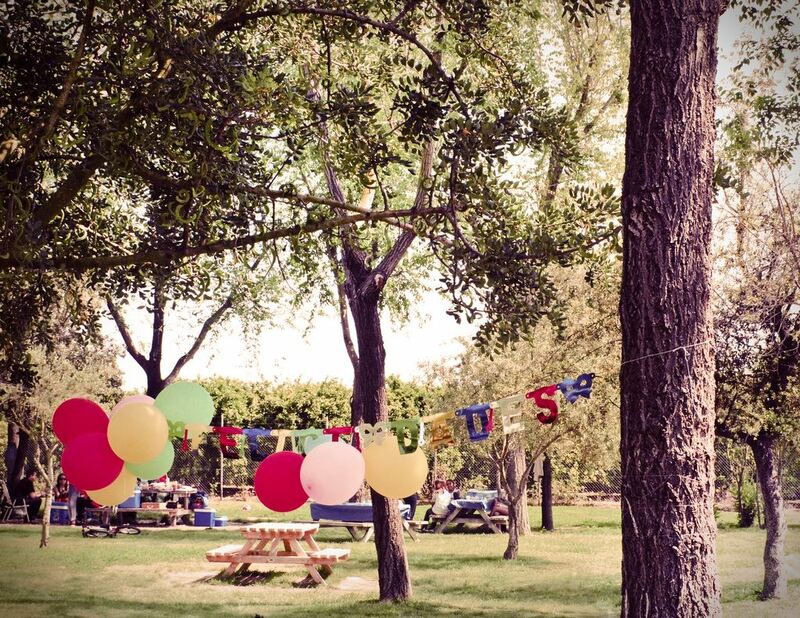 If you are here for your birthday, you should know that instead of being treated you are the one who treats, whether that’s buying a round of drinks or paying for the meal. So if you say it’s your birthday – be prepared to cough up! We should also mention Saints Days – which are like birthdays here but you don’t need to spend anything for this one. If for example you hear that it is San Jose Day and your concierge, driver, tour guide or waiter is named Jose – you’ll hear him shielding lots of ‘Feliz Santo’ while you are with him – so why not say it yourself – Happy Saint’s Day – Feliz Santo! 20 Service with a Smile? It’s hard to describe the Spanish approach to service without appearing to criticise it – and we don’t want to. We’ll start by explaining that waiting staff do not expect or depend on tips (read our guide on Tipping in Spain here) and that you don’t find students working in a cafe or bar to pay their way through school. When you sit down at a table in the Plaza Mayor in Madrid, you might be served by a 25 year old or a 55 year old professional waiter. They may smile at you – or they may not. They may have some English – they may have none. 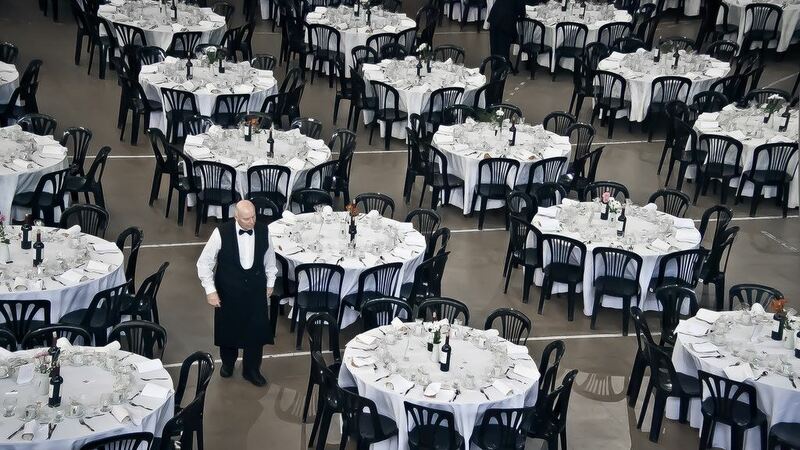 Their tenure on the job depends on their ability to prepare drinks and serve tables – not smile, not take photos and not give directions – although many are happy to do all three things often simultaneously. 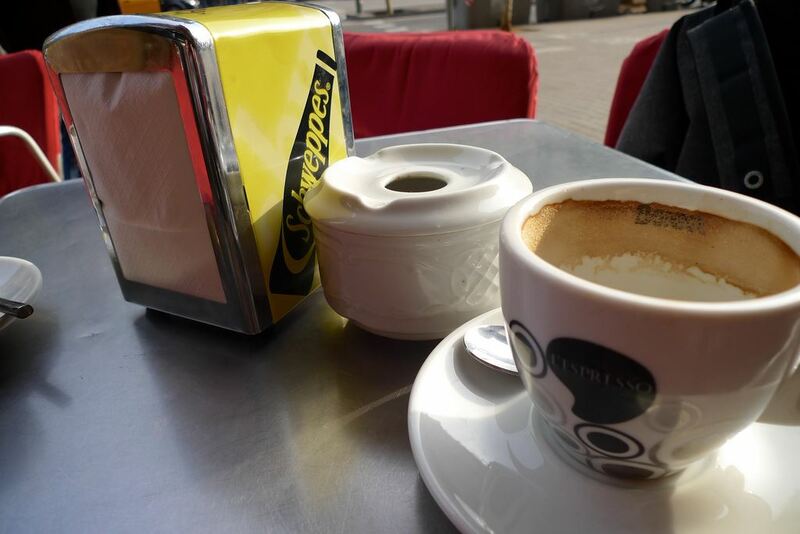 We should add that when Spaniards sit at a table to have a coffee, they do not expect fast service. 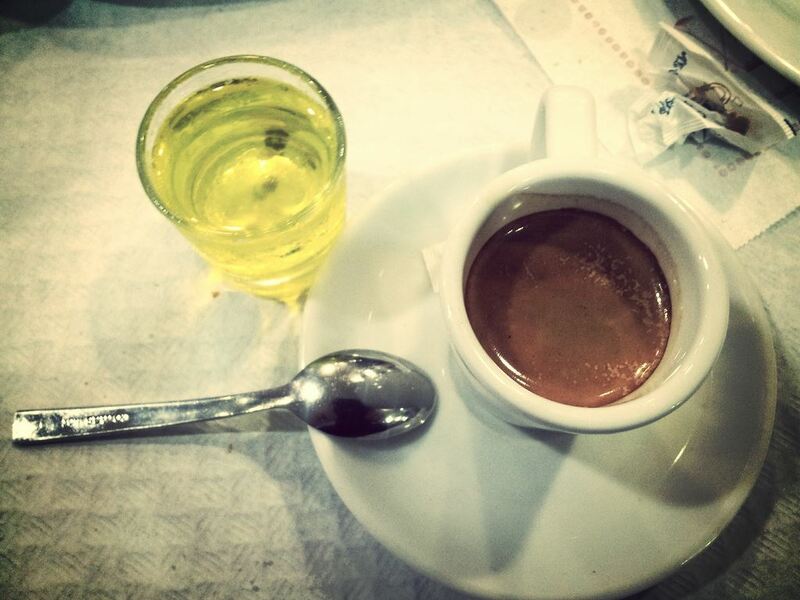 Pro-tip: If you are in a hurry – have a coffee at the bar. Waiting staff expect people at their tables to take their time and will not rush that experience by dashing up to you when you sit down. And when you pay for your drink or meal, don’t expect excessive gratitude. The best way we know to guarantee a smile and a fond farewell? Travel with a baby or a young child – that’s when you get real interaction and toothy grins. Plus the hunk of bread that we mentioned earlier. 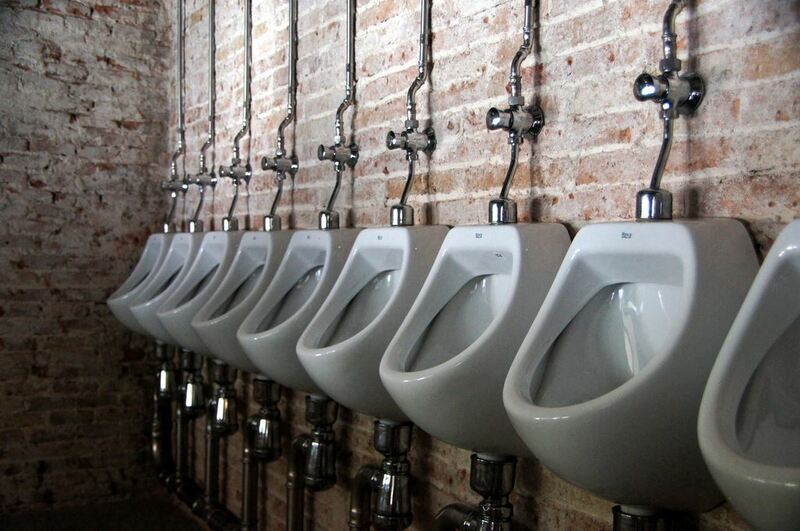 Are you ready to experience these odd things in Spain? Do you feel like tasting one of those white wines in a ceramic bowl? Are you brave enough to take on a fish complete with head and tail? 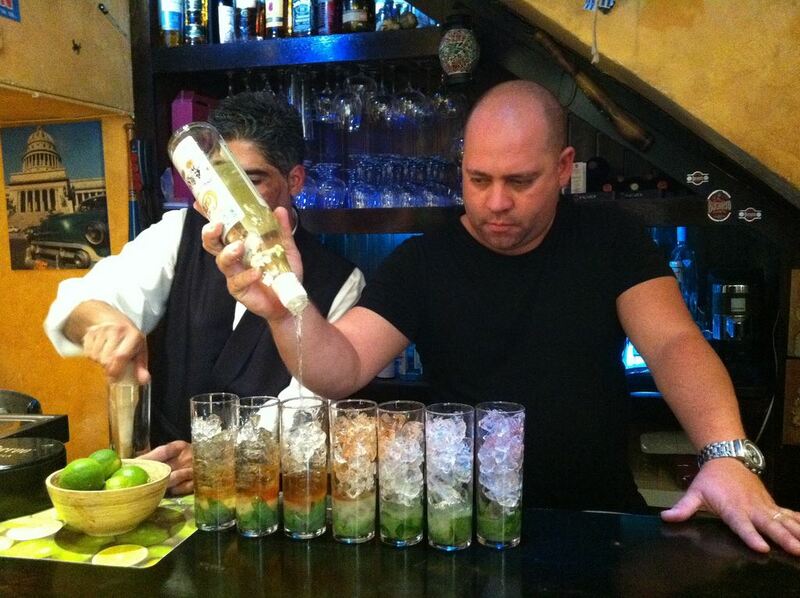 And what about trying a ‘chupito’ or one of those large G&Ts? 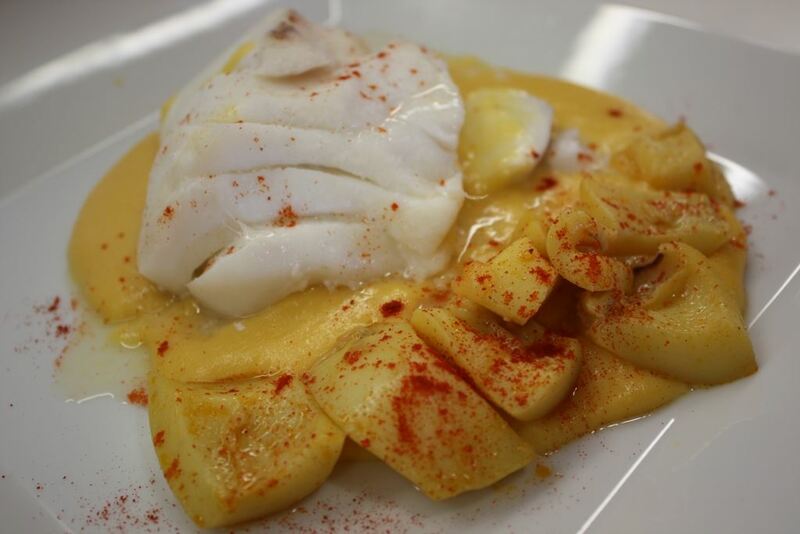 Perhaps you want to read more about the positives of Spanish gastronomy. If so, check out these blogposts! Posted in Food & Drink, Getting Around, Insider Spain Guides, Popular Posts, Useful Information and tagged Barcelona, bars, beer, Bilbao, bread, cafes, cheese, cocktails, credit cards, customs, fish, ID, leftovers, Madrid, noise, ordering, paying, queues, restaurants, Seville, shops, space, Spain, Spanish, tapas, toilets, traditions, wine.